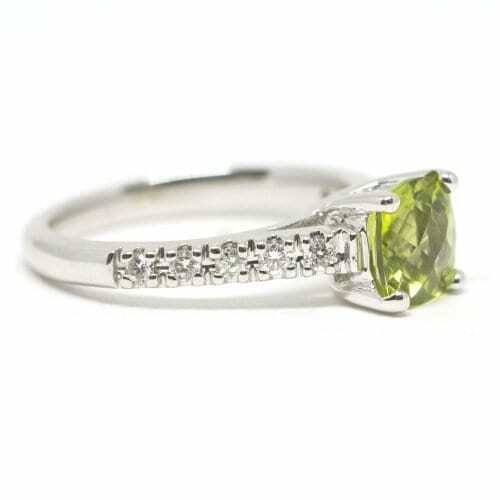 Peridot and Diamond Trellis Ring made from 14k white gold. 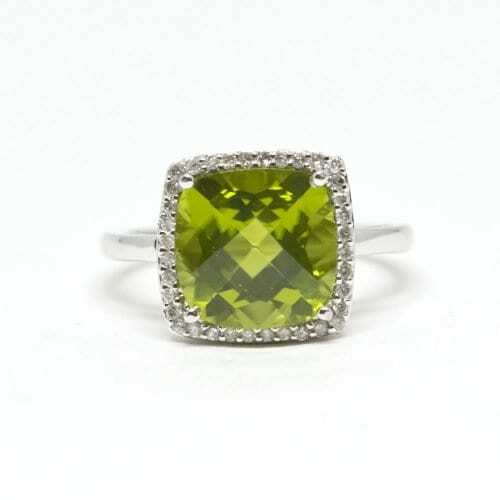 The center is a prong set 1.68 checkerboard cut cushion peridot. 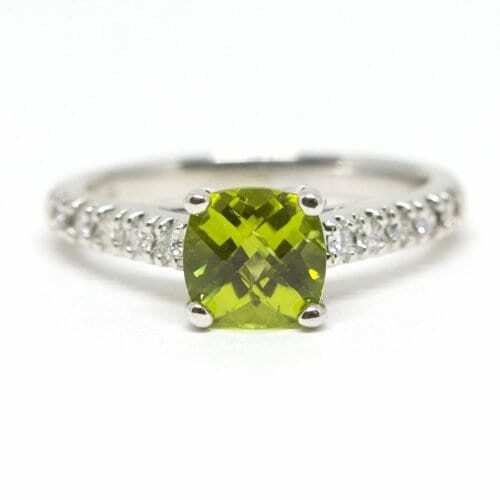 The ring features 22 common prong set brilliant round diamonds that span halfway down the band. 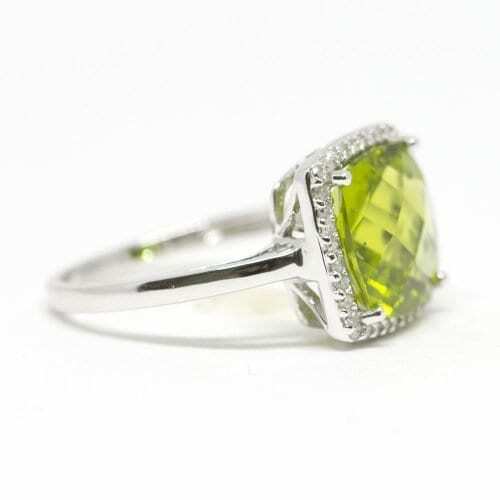 The total diamond weight is .22 carats. 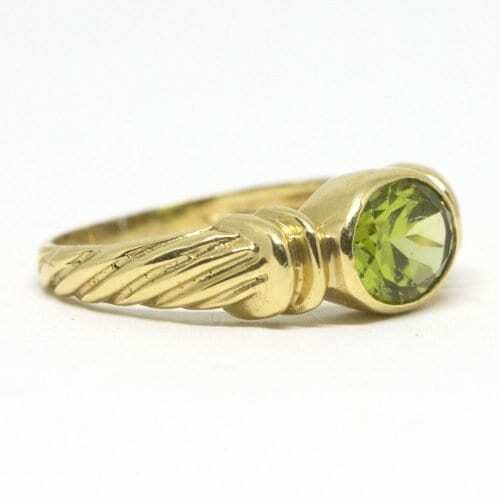 Twizzler Peridot Ring made with 14k yellow gold. 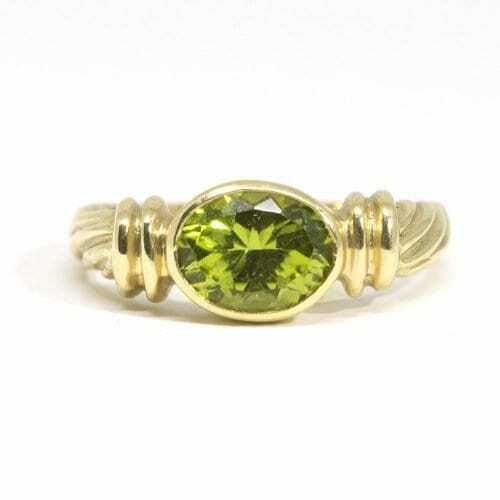 The ring features a bezel set oval peridot and a twist design.